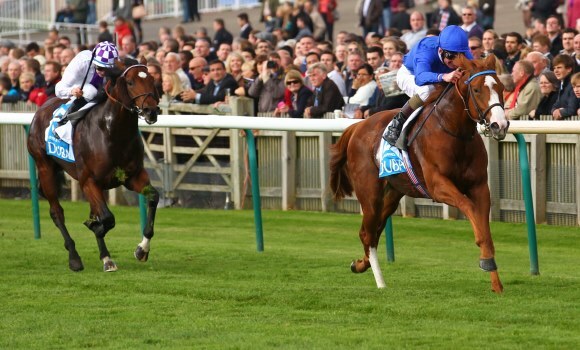 The first two Classics of the season are upon us as Newmarket hosts the 2,000 Guineas for colts on Saturday & the fillies equivalent in the 1,000 Guineas on Sunday, we're taking a look at both races as we look to continue selecting winners on the flat. We were pretty sweet on the chances of Richard Hannon's Toronado in his Guineas trial the Craven & the High Chaparral colt won in impressive style over the course & distance & deserves to be riding high in the betting. The Craven was just a four runner affair though & the runner up Havana Gold, whilst a nice type probably isn't a star & it looked like Toronado was far better suited to the conditions than his rivals there, of course those are the same as here with ground conditions similar too & jockey Richard Hughes should have him well positioned. As good as Toronado may be we've a suspicion that he looks more of a Derby type, especially how he's finished his races, & last season's star colt Dawn Approach looks the better option right now. Jim Bolger's colt won the excellent Guineas trial the Dewhurst here at the end of last season just like his sire New Approach who finished 2nd in the 2008 version of this race. That Dewhurst win followed 5 previous wins from 5 starts including excellent victories at Royal Ascot & in the Group One National Stakes at the Curragh. Although Dawn Approach hasn't won over the distance yet there seems little doubt he'll get it as wins on softish ground over just a furlong shorter suggest a mile looks the perfect distance. There are discrepancies in price thanks to support for Toronado in the last week or so & Dawn Approach is available at 15/8 with (BetVictor) whilst as short as 5/4 with Ladbrokes, that 15/8 looks worthy of a significant wager. Of the other contenders Aidan O'Brien's three entries have to be worth looking at considering his great record in the race with 6 previous wins including last year with the great Camelot - Cristoforo Colombo looks his number one chance with son, & Irish champion jockey, Joseph O'Brien taking the mount. 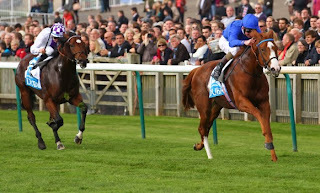 Cristoforo Colombo has only won once in five runs & has already lost to Dawn Approach (in the Coventry at Royal Ascot) & we were slightly surprised that Mars wasn't the first choice even though the beautifully bred Galileo colt has only run one time before. Richard Hannon's other entry Van Der Neer has a very nice turn of foot & could offer value if you do look outside of the first two in the betting but we're confident that Dawn Approach can win with style. 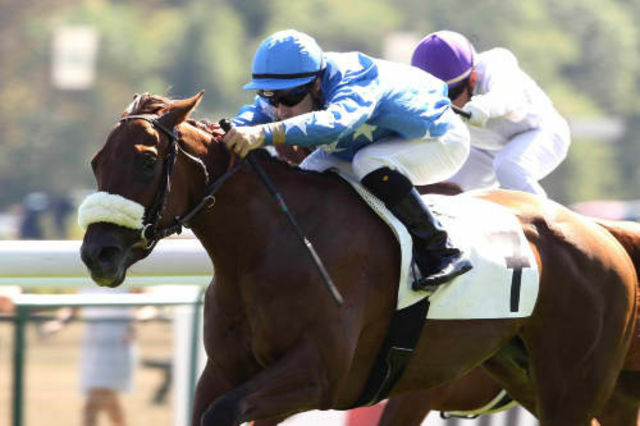 The 1,000 Guineas looks an altogether more open affair with no standout filly in the market & we like the chances of another French winner after Natagora in 2008 & Special Duty in 2010 with Mikel Delzangles' What A Name looking to hold a leading chance. What A Name was beaten just over a length by Olympic Glory at Longchamp on Arc weekend & that looks probably the best bit of form on offer (we reckon Olympic Glory will win the French 2,000 Guineas). We like the breeding of What A Name with her being by Mr Greeley & that should mean that quickish ground should hold no worries & her rider Christophe Lemaire has already won the race before & should be able to get her well placed from her stall 12 draw. The favourite Hot Snap has only raced twice & looks to be at the head of the market on promise & thanks to the deserved reputation of trainer Henry Cecil as a master trainer of fillies. Although the win in the Nell Gwyn was impressive by Hot Snap we're not sure that the runner up Sky Lantern is as good as her official rating suggests & odds of 11/4 are too short. We're convinced What A Name will run into a place at a minimum & that means that a hefty each way bet at odds of 5/1 looks a good way to guarantee a return - we think she'll win & that could mean a highly profitable weekend of racing.